We all know that adolescence is a difficult stage of life for teenagers living with biological parents. It is a developmental stage of becoming self-centered for the purpose of consolidating a sense of self, and developing a direction towards independence. It is normal, during this time for parents to appear, through the eyes of a teen, different, outdated, and difficult, so that teenagers can define themselves and manage to leave home. It is also a time to take risks and to be adventuresome, to feel intensely and to change direction unpredictably. It is a time to date and to break up, learning about intimacy outside of the home. Adolescence may be more difficult for adoptees and their adoptive parents because there are important additional adoption issues to contemplate. Sometimes these issues are so complex that psychotherapeutic help or a brief period of hospitalization is required. It is difficult for adoptive parents to remember that adoptees, at some level, fear separation because of their past relinquishment. They reason, if birth parents, which were supposed to love and take care of them, let them go; then they could be relinquished again anyone anytime. There are basically two ways to handle this fear. Acting-out adoptees will test limits or do something wrong and wait to see if they get relinquished. If they are understood instead of rejected, they feel reassured. Over adaptive adoptees will be very good, hoping to control and avoid further relinquishment by being no trouble to anyone. An over adaptive adoptee may repress or hide feelings or questions, especially about birth family, that might be disruptive to their adoptive family. Adoptee: How do I consolidate a sense of self with little or no information about my biological family? Adoptee: Was I relinquished because I was insufficient in some way? Adoptee: Will my adoptive parents still be my parents after the age of 18? Adoptee and Adoptive parents: Will birth family suddenly arrive on the doorstep to reclaim their relinquished child after the age of 18? Adoptive parents: What can I do to help my adolescent adoptee when he or she may be acting in a restless, rude, spoiled, defiant, or overly polite distanced way? Adoptive family: Do we still love each other or will this love become dissipated by advent of birth family? Adoptee: Why is it hard to leave home? These questions may feel embarrassing to admit directly. Issue 1: The issue of birth family often emerges directly or indirectly as an important topic. Some adoptees find it difficult to consolidate a sense of self if there is no knowledge available, or adoptive parents are withholding knowledge about birth family. Some want to know full names of extended birth family so that they can begin a search on the Internet. An adoptee needs to be able to put together a family orchard rather than a family tree. Each adoptee has had to adapt to a family with different genes. Understanding a birth family’s inherited genes is an important part of discovering the self. For instance, a talented dancer adoptee raised in a short, compact, left brained, scientific, engineering adoptive family might be labeled skinny, emotional, and not very academic. If she is able to meet her right-brained artistic birth family, she might well be redefined as slender, artistic and kinesthetic. Some adoptees become restless because they are reluctant to express any interest for fear of upsetting their adoptive parents. Issue 2: An adoptee must first be relinquished or unchosen before they can be chosen. The adoptee brain does not reach maturity until the age of 18. The evolving brain of a younger adoptee can only regard adults as perfect and children to blame for relinquishment. Therefore adoptees may ponder what they did to become unchosen while striving to prove to themselves that they are chosen or special. Adoptees can be manipulative and draining in their need to ask for special favors. Therefore it is easy for adoptive parents to fall into the position of giving in too much or spoiling them. The normal self-centeredness of teenagers can be further exacerbated by this adoption issues. Issue 3: Childhood and parenting, in the formal sense, are coming to a close by the age of 18. Despite reassurance, some adoptees may be silently afraid that they will no longer be taken care of after the age of 18. They know that foster children are dumped out on the street regardless of their circumstances on their 18th birthday. It is not uncommon for an acting-out adoptee to do something bad to see if their adoptive parents will relinquish them. For instance, one adoptee dropped out of school, another let his grades drop from 4.0 to a 2.7. A third adoptee was given $10,000 by grandparents and spent it on superficial items instead of buying a car. Some adoptees will hide out with friends, waiting to see if their adoptive families miss them. Other adoptees may test their adoptive parents by becoming increasingly rude and demeaning. Adoptive parents can feel really confused by this change in behavior if they do not understand the underlying concerns. Issue 4: Some adoptive parents are afraid that the birth family will suddenly appear at the doorstep after birthday 18. Indeed, I have experienced birth mothers that believe the 18th birthday spells the end of adoptive parenting. They feel they have stayed away long enough and would like some knowledge about the adoptee or their relinquished child returned. They feel the maternal instinct strongly while forgetting that birth mother and adoptee do not know each other. Some adoptees actively request a reunion with birth family, but only if they feel that their adoptive parents can handle it. Issue 5: How can adoptive parents help? It is important to remember that an interest in birth family does not mean that an adoptee is not happy with their adoptive parenting. I encourage adoptive parents to share whatever information they have acquired about birth family if their adoptee asks for it. Withholding information at this stage in life may be perceived by the adoptee as lying by omission. Lying hurts the trust within the adoptive family relationships. We all know the phrase, “blood is thicker than water.” I have helped many adoptive and birth families with the reunion process. When they finally locate each other, it becomes evident that both families often spent some portion of the last 18 years living really close to each other without knowing it consciously. One adoptee kept moving his horse to ranches closer and closer to a ranch owned by his birthmother. When his adoptive parents figured this out, they returned the horses to a ranch closer to home and accomplished the search and reunion with birthmother. Another artist adoptee unknowingly moved within four blocks of her artist birthmother, and lived there for four years before they reunited. During this time, they apparently attended the same art shows. Issue 6: It is my experience that adoptive parents do not need to fear the loss of their adoptive child back to birth family as long as they have done a reasonable job of parenting. If they help their adoptee obtain information and/or contact with birth family, the relationships within the adoptive family become stronger, deeper and more intimate. On the other hand, if the adoptive couples withholds or tries to prevent, or refuses to participate in gathering the necessary information to consolidate a adoptee’s sense of self, the adoptee may distance him or herself from the adoptive family. The love adoptive parents give to their adoptive children cannot be taken away by birth family. Every adoptee has two mothers and two fathers. Many adoptees feel entitled to know something about all four parents. If a birth family member is incompetent or dangerous in some way, the necessary supervision and protective measures can generally easily be taken. I have helped adoptive and birth families set up reunions that are touching, poignant and joyful for all parties concerned. However, there are sometimes moments of fear, awkwardness, sadness and pain. Understanding each birth family story through acquiring information or making direct contact usually helps the adoptee ultimately to reach the following three important conclusions. The adoptee was relinquished because the birth parents felt unable to accomplish the 20-year job of parenting. Relinquishment did not happen because the adoptee was insufficient in any way. Birth family keeps on loving, thinking and caring about their relinquished children. Issue 7: Finally, it is important to remember that the process of separation from the adoptive parent home may be harder for an adoptee because a move in the present activates the pain of their initial relinquishment. Therefore, some adoptees may take longer to leave home as they work through these issues. Some will prefer to live at home while they go to college or return home after college. As the poet Robert Frost said, “Home is a place where, when you have to go there, there is someone to let you in.” Adoptive parents are the everyday Mom and Dad. Home is where the adoptive family lives. Most often, an adoptee has a unique appreciation for the home they have been given. However, it is my belief that even the best adoptive parenting may not replace the need for a truthful birth family story. These honest facts can be indispensable in consolidating an adoptee’s sense of self and in erasing the disturbing misconception that adoptees are rejected because they are insufficient in some way. A journey through these complex issues sometimes feels lonely because the outside world lacks the knowledge and experience to understand. However, a psychotherapist trained in adoption issues can be a valuable support for the entire adoptive family when the adoptee is approaching their 18th birthday. Do not hesitate to reach out for this support if any of the above issues are occurring and feel overwhelming. Adoptive families who take on the task of understanding, and resolving these issues through interacting with birth family should be congratulated for helping an adoptee in this special way. Dorothea McArthur is a Diplomate Clinical Psychologist practicing in Los Angeles. 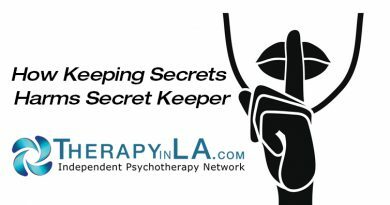 She is President of the Independent Psychotherapy Network. She can be reached at 323-663-2340. Her email is DMcA@ucla.edu.